Which Garret turbos does Lingenfelter use ? Looks like GT2871R for the base C5 kit. Looks like GT3071R-WG for the upgraded C5 kit....same compressor wheel but better flowing turbines. What is used for the C6 ZO6 ? What is used now ? 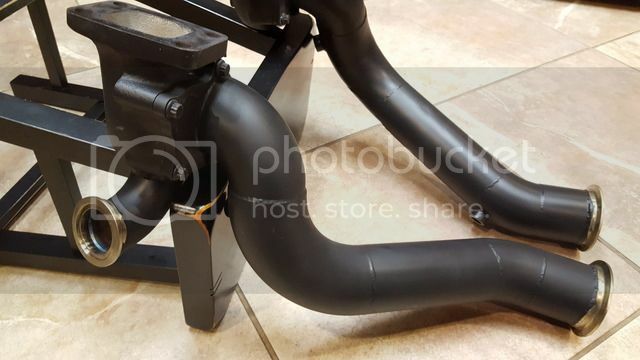 I've read a few posts that the Gen2 LPE turbo system uses the GT3071R-WG turbo. Same compressor wheel as the GT2871R but a higher flowing turbine. The standard LPE 500, 550, 650 and 725 hp C5 & C6 Corvette package vehicles along with the few CK trucks and other vehicles we did all use(d) a Garrett GT28R ball bearing water cooled CHRA with a 56 trim 71.1 mm compressor wheel and a 76 trim 53.9 mm turbine wheel. The compressor housings are custom - either custom cast parts or later modified Garrett parts. The turbine housings were a custom cast part in the earlier vehicles. The later housings are a Garrett supplied turbine housing. We didn't really have a Gen2 LPE turbo system but we did also produce some 800 and 1000 hp package cars that used GT3071R and GT3076R turbochargers. The GT3071R uses the same compressor wheel as the GT28R and could use the same compressor housings but has a 56.5 or 60.0 mm turbine wheel depending on which variant of the GT3071R. We have also done some one-off type higher power Corvettes that have used GT35 or larger turbochargers but these require significantly different packaging and duct work than our more conventional package cars. These also all use external wastegates which further complicates the vehicle package and requires different manifolds compared to our standard package vehicles. You have to be careful with some of the combinations depending on desired boost, engine size etc because some combinations may not be able to control the boost over the entire RPM range due to the available internal wastegate bypass flow. Excellent data for LPE owners ! Thanks ! custom vacuum manifolds(blocks) for multiports. Quick Reply: Which Garret turbos does Lingenfelter use ?